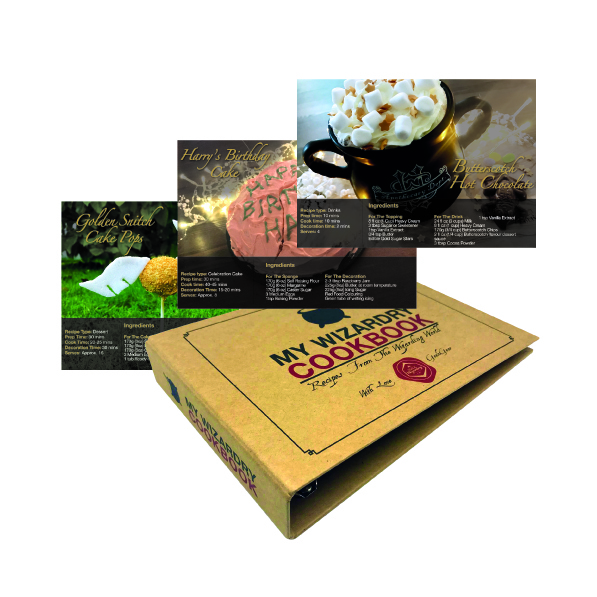 The World of Wizardry Cookbook binder is from our December World of Wizardry 2017 box, and if you purchase it here, you will receive the binder + all (so far) released recipes. We are releasing 2 new magical recipes from the wizarding world every month which come with the normal World of Wizardry box. Dispatched within 1 - 2 working days.